Love to dance or play music? Why not share your passion in Sao Paulo in Brazil. 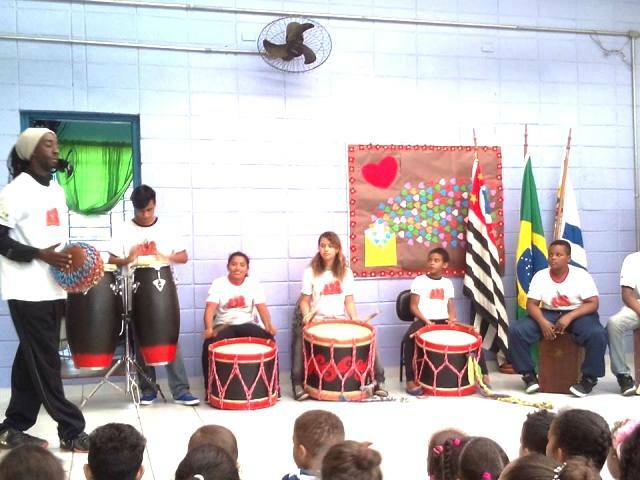 Full of rhythm and music, Brazil is an amazing place full of different music and dancing styles . 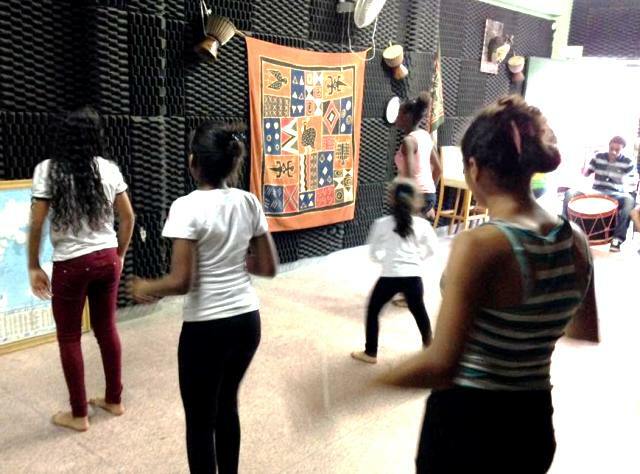 At the youth centre that Oyster works with in Brazil, volunteers can go and get involved in teachng dance and music to the local kids in the area. Fun classes and passionate teachers help to keep the local children off the street and out of trouble. Join our worthwhile programme and spread your love of dancing and music to kids who are eager to learn. At a dance class at the Youth centre in Sao Paulo. Open to both boys and girls of all ages. Dancing to traditional Brazillian music at the centre. 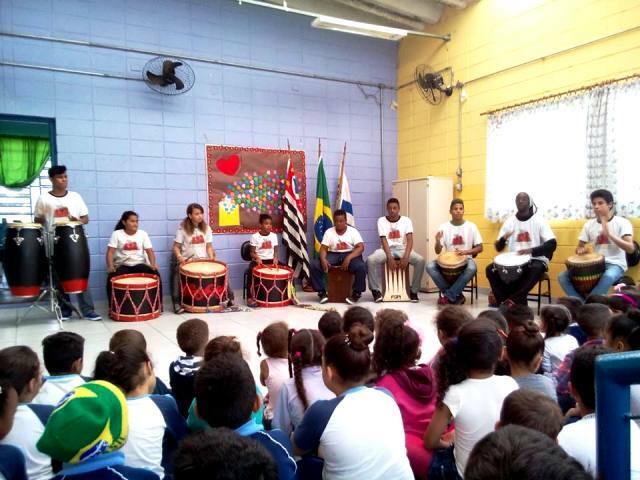 A drumming workshop help for the younger kids who attend the youth centre in Brazil. The kids were even allowed to give it a try! 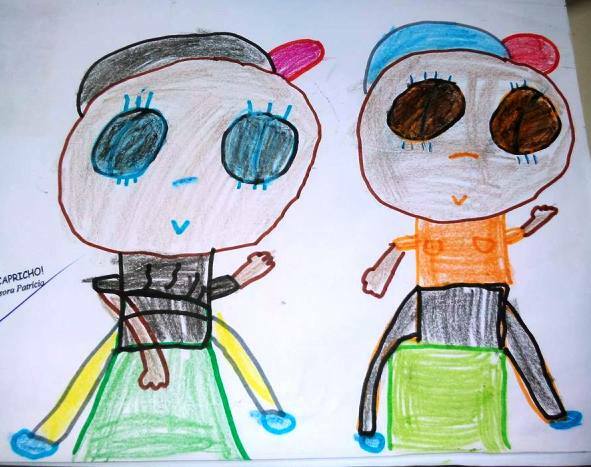 These pieces of artwork, drawn by a young child at the workshop, shows their appreciation of the event. I particularly like the scary eyes! 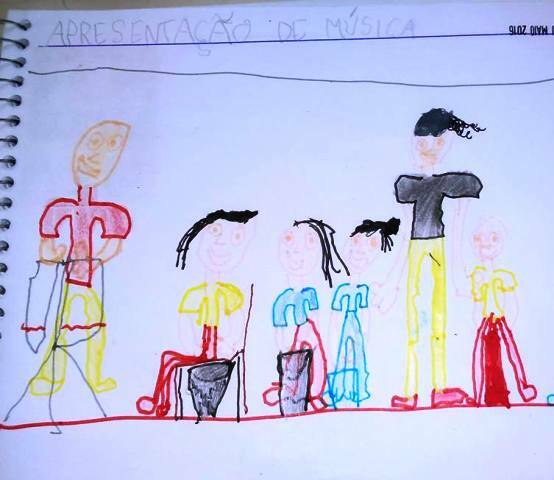 There is nothing more fulfilling than teaching children how to love and appreciate music. 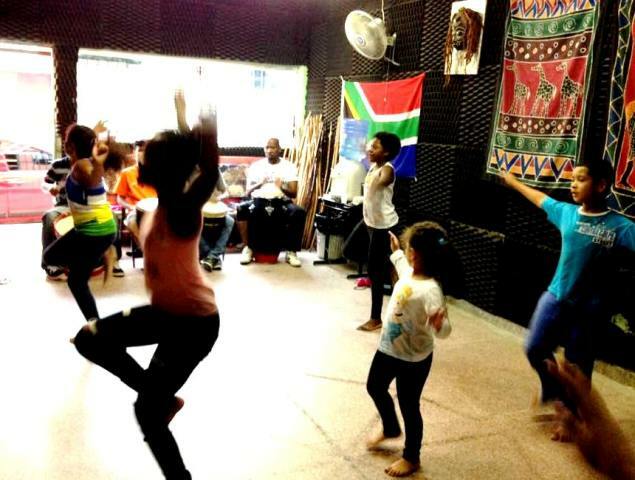 Whatever genre you play or whatever style of dancing you are good at, the kids at the youth centre would love the opportunity to learn a new skill. The youth centre helps 3000 local youth and are one of the most successful charities in Brazil, having won awards for their work. Volunteers help to keep sessions and workshops exciting and varied. You can volunteer at the youth centre or as a sports coach for as little as 4 weeks up to 6 months. Accommodation and food is provided at the centre, meaning you will feel truly part of this wonderful community. You can also opt to add portuguese lessons so you too can come away with a fantastic new skill. For more information, check out our volunteering at a youth centre page or our volunteering as a sports coach page. If you are enthusiastic, committed and passionate, we would love to get you involved in this worthwhile programme.